The Pahrump Visual and Performing Arts Council is a 501(c)3 non-profit corporation with 125+ members. Our mission is to: Create an environment for the arts to flourish in our community. To do this, we provide support for the arts through program development and education, offer a diversity of cultural events for all ages and income levels, organize events that include community members as performers and artists, and nurture good partnerships with other community organizations. 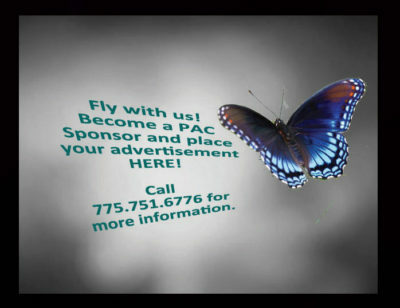 PAC sometimes coordinates activities with the Nye County School District, Homeschoolers associations, Nye Communities Coalition, Las Vegas Parks and Recreation/Cultural Affairs, Great Basin College and provides support and encouragement for other arts groups in our community, including the Nevada Silver Tappers. 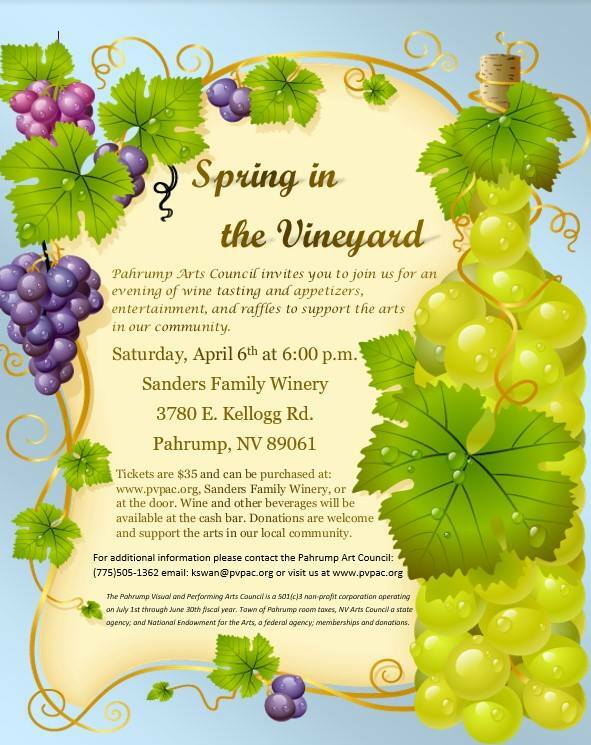 Call the Pahrump Arts Council for more information: 775.505.1362. The Pahrump Arts Council meets monthly on the second Monday evening, 6:30 at the PAC office, 2340 E Calvada Blvd, Suite D, one block west of Highway 160 in the Cahlan West Professional Center at the corner of Calvada and Honeysuckle/Mt Charleston. The public is invited to attend all meetings of the Pahrump Arts Council. Bring your ideas!